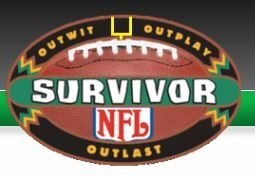 BAI NFL Survivor Pool Winners Announced – Brudis & Associates, Inc.
Brudis & Associates Inc. held its yearly NFL Survivor Football Pool. The goal was to be the sole survivor after every week of NFL games. There was a tie this year. After week 11, Billy Brudis and Rachel Molitor were tied with 1 strike each going into the week, but their picks of the Chargers and Panthers failed to win to give them each their final strike. This has resulted in a tie and both will be considered co-champions for 2018. Congrats to Billy and Rachel!! Thanks to everyone who played this year!! © 2019 Brudis & Associates, Inc. All Rights Reserved.